The Nova Scotia Council of Health Care Unions, NSHA, and IWK just completed six days of conciliation. The parties have agreed to another 11 days of bargaining over the course of the next few months. Bargaining in January and February produced some steady progress. But, the Employers also tabled some significant takeaways. The Employers made a brand-new proposal that would allow them to transfer employees anywhere they wished in the province. The Employers argued that these staff transfers could be temporary or permanent. After more than a year of bargaining, the Employers tabled their sick leave proposal. The Employers proposed placing all members of the bargaining unit into an Accumulated Sick Leave plan. This would mean taking the Short-Term illness plan from the NSGEU members who currently have it. The Council of Unions has proposed moving all bargaining unit members into the Short-Term Illness plan with an MOA designed to protect a carryover component of accumulated banks for top-up of days for our CUPE members who would be converting from the accumulated plan. The challenge has been to negotiate under the restraints of provincial government legislation freezing wages for two years and restricting them for two years after that. The effect is that most health care classifications in Nova Scotia are now among the lowest paid in the country. The legislation also froze your retirement allowances effective April 1, 2015 and abolished its existence for any new hires. The Council of Unions has proposed language that currently exists elsewhere that allows the Unions to prevent the Employer from making unilateral changes to your dental and health benefits. The Employers proposal is one that would give them unilateral control of dental and health benefits with no consultation and complete authority of your dental and health benefits. These continue to be a complex set of negotiations that require bringing together collective agreements from all four unions (NSGEU, CUPE, Unifor and NSNU) in the acute care and community care sectors. So far, the parties have held more than 30 bargaining dates. Bargaining will continue on the following dates; February 26, 27, March 19, 20, 21, April 10, 11,12, May 2, 3, 4. Other dates may be booked during these four months if required. At this stage, the parties have reached a tentative agreement on 22 of 46 complete articles in the NSHA agreement. Although we are making progress, the most difficult and contentious issues such as benefits, wages, job security, retirement allowance, job posting, hours of work, sick leave, re-assignment and others remain outstanding. 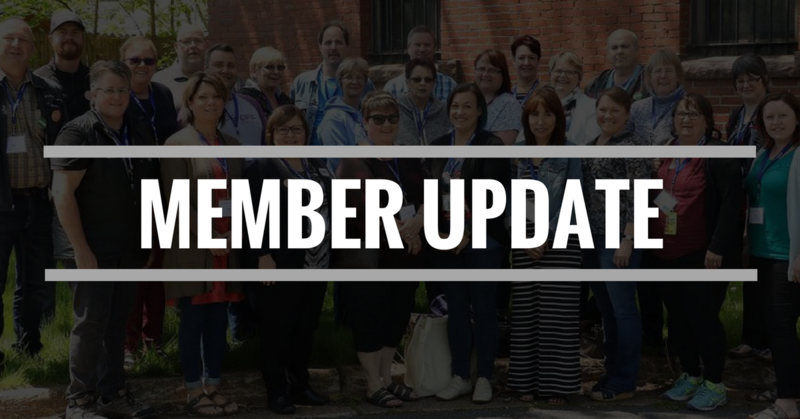 Bargaining remains a long and challenging process but the Council of Health Care Unions is working well together to make sure progress continues on your behalf. required by another Liberal Government piece of legislation, Bill 37. The legislation requires that a high number of people remain at work in the event of a strike, but leaves it to the parties to determine the exact numbers. The essential services agreement covers all 6,500 health care bargaining unit members across the province, making it a very complex task. The Liberal legislation prohibits the health care unions from conducting a strike, or being locked out, until an essential services agreement is reached. This, of course, has limited the Council’s leverage at the bargaining table as it attempts to negotiate new collective agreements. Once the essential services negotiations are completed in the coming months, the Council expects to make more progress in bargaining. The Employers’ essential services negotiators walked away from the table in the summer and had refused to come back. The Employers have now said they will return to the table on March 6 to continue discussions. Health Care Bargaining Council is the lead table in this round of health care negotiations. The committees representing administrative professionals, support and nursing are preparing to start their bargaining once an agreement is reached, or at least substantially completed in health care. The Employer has met with the Council of Unions to push for dates to commence bargaining with the Nursing Bargaining Unit. The Council of Unions have described all the reasons this would not make sense for either party to do until the Health Care table has concluded their negotiations. Those discussions have been met with the Employer informing the Council that if dates are not set, they will be “compelled” to take the matter to the Labour Board to ensure there is no further delay is starting bargaining. The Council has agreed to begin Essential Services work in the Nursing Bargaining unit in the coming months and the possibility of an exchange in the late spring with hopes that healthcare will have made significant progress or gained considerably more momentum at that point. The committees representing Administrative Professionals and Support Services are preparing to begin their preparations for bargaining as well. Please forward any questions via your Area VP. Contact information is available on the website at 8920.cupe.ca/about-us/your-executive.